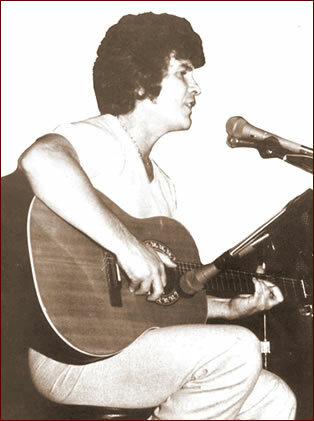 Barry’s most famous song, Reuben James, has sold in excess of thirty million copies world-wide (singles & albums), and has received well over one million radio air plays. A hit by Kenny Rogers and the First Edition, the song was also recorded by Conway Twitty, Glen Campbell, Johnny Cash, Jerry Lee Lewis, and many others. It has resulted in several gold and platinum albums. Barry’s songs have been published by some of the nation’s leading publishers … The Lowery Group, Atlanta, United Artists – Los Angeles; House of Gold – Nashville, Tree Publishing in Nashville, Warner Brothers – Nashville – to name a few. Mr. Etris served on the Board of Governors of the National Academy of Recording Arts and Sciences (NARAS). Barry is a talented performer who, at one time, recorded professionally, appearing with Lester Flatt, Lefty Frizzell, Roy Drusky, Freddy Cannon, The Osborne Brothers, Tex Ritter, Sonny James, Joe South, Ray Stevens, Freddy Cannon, Tony Orlando, Mac Davis, Billy Joe Royal and others. Although he loved performing, the desire to “create” became overwhelming. Not only is he a serious writer, but has developed his talents as an outstanding visual artist. Although Barry writes a variety of songs, some of his personal favorites are the story-songs …. his most popular song, Reuben James, Lum Crow, the Devil and Ambrose Webster (recorded by Barry), Softly Came the Gypsy, recorded by internationally acclaimed traditional singer Betty Smith), and Nellie’s Golden Hair, recorded by the Kingston Trio and later a hit in Canada by the Garrison Brothers, to name a few. The Bird, co-written with friend Hal Coleman and recorded by Jerry Reed, was a #1 country hit and recipient of a BMI Award. His works are heard throughout the world. Some of the songs represent fictional characters but some are based on real people Barry was fortunate enough to know and love.